Australia is about to extend the Howard government imposed benefit quarantining beyond Northern Territory Aboriginal communities across urban and regional parts of the state. Other income management trials are also underway in Queensland and Western Australia. Welfare commentator Lindsay Mitchell said that income management involves quarantining half of a benefit payment for spending on essentials like food and clothing rather than alcohol, drugs or gambling. "Half of the benefit payment is only available by way of an electronic card or other arrangements with Centrelink (the Australian version of Work and Income). This protects the beneficiary from intimidation for or theft of cash and improves the well-being of dependent children." "Rather than caving in to objections from groups who say the current income management scheme constitutes racial discrimination, the Rudd government is extending the programme to other non-Aboriginal communities." "New participants will include young people who have collected welfare for 3 of the past 6 months; older people who have been on a Parenting (DPB) or Newstart (Unemployment) payment for one of the last two years; people referred by child protection agencies or assessed by Centrelink as requiring budgeting management and victims of domestic violence. Other beneficiaries can voluntarily buy into the scheme and there are various cash incentives available to all income-managed clients for participation and saving." Mitchell said that, "Of particular interest for New Zealand is whether Maori Party plans to expand whanau ora include income management for Maori beneficiaries, based on the practical implementation and experience of Australia. Then, of course, whether such schemes will be extended across other areas of New Zealand. And if an Australian Labour government is clearly serious about making the principles of obligation and responsibility a feature of their welfare system, will the New Zealand Labour Party adopt similar policies?" “The report makes some international comparisons of countries care of children during recession. In Peru, for example, child mortality rates climbed. In Sweden they did not. Why? Because Sweden has a much more comprehensive welfare safety net including free child health care. Peru had one of the best-performing economies in Latin America last year, with GDP growth of 9.8%—higher even than that of China (9%). Despite a severe global economic bust and sharply decelerating domestic growth, the Andean country is likely to remain, relatively speaking, a star performer in 2009. Peru’s growth has exceeded that of most other countries in the region during the last seven years, driven by high global minerals prices and expanding output from the natural-resources sector, including from the huge Camisea natural-gas field. In 2008 only Uruguay’s spectacular rate of growth of 11% eclipsed that of Peru. This is Peru's infant mortality rate. This is Peru's child mortality rate. I can find no evidence of a rise in either. 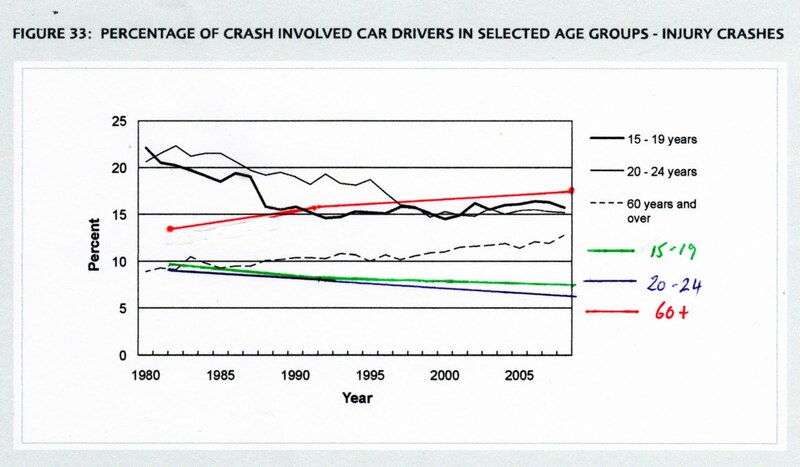 There is a difference between the infant rate (under 1 year) and child rate (under 5 years). If one confused the two they might make the mistake of thinking there had been a rise. The other possibility is regional rather than national rates are being used. If I could find the report I might be able to figure out what the claim is based on. Two academics have corroborated in an article published in today's NZ Herald entitled, Crisis may just be starting for poor. It continues from the anti-child poverty activity generated earlier in the week by the Paediatric Society report into the social health of New Zealand children. ...children exposed to low family income in the early years, in addition to experiencing higher hospital admissions and mortality in the short term, also have worse long-term results. Standard of living data show that poor children reliant on government transfers are more likely to be subject to restrictions in key items of consumption than are poor children in families with market income. The results demonstrate that there is considerable variation in the living standards of those below the poverty threshold, and suggest that poor children in families with government transfers as the main income source are a particularly vulnerable group and warrant a policy focus that recognises their multiple sources of disadvantage. It follows then that the focus should be on work over benefit reliance. But no. Although the writers do not specifically spell it out, what they want is benefit rates to rise. In particular the In Work payment to be extended to parents who do not work. "...the numbers moving off the DPB, also a low-replacement-rate benefit, are falling too." Sole parents have one of the highest rates of joblessness in the OECD. The disparity in employment rates between sole parents and other mothers is higher than in any other Member country. Paula Bennett was right when she recently described NZ's welfare system as "generous compared to many other countries". That applies not only the how much is paid but to the period of entitlement - indefinite. The effects of the recession may be prolonged for certain groups. That is true. 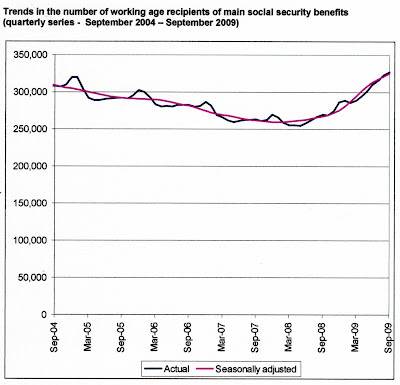 But it is because the benefit system allows too many in, too easily and for too long. 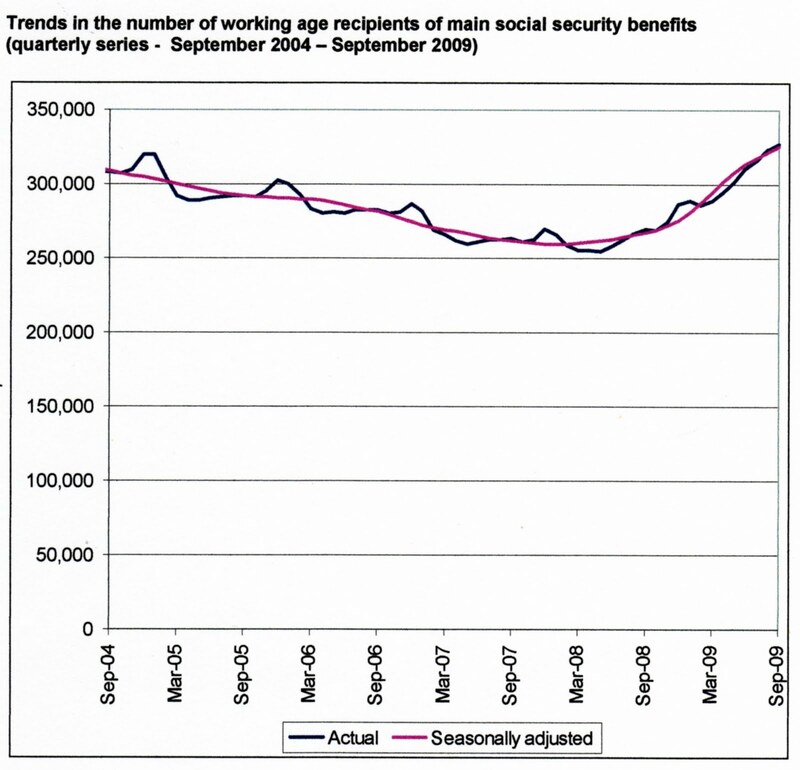 *Since then there have been annual CPI increases and upward adjustments to family support/tax credits. "Starving in the age of recession"
A conference is being convened called "Starving in the age of recession." One in five Kiwi children are now being raised in households reliant on benefits, sparking fears that children are "starving in the age of the recession". 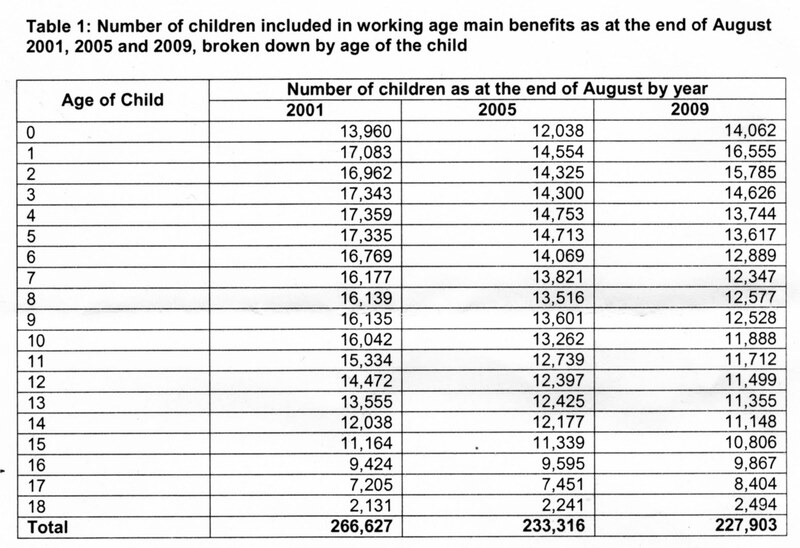 The number of children living with beneficiaries is up 15,000 in the past year to 226,000 in April 2009. The rise has concerned doctors, child welfare groups and academics, who say living with beneficiaries increases the risk of leaving school early and health effects including hospital admissions and deaths." What this shows is that "children were starving" all through the economic good times and record low unemployment. That is because most of them are on the DPB and reliance on the DPB is only slightly affected by the unemployment rate. And that is because people on the DPB are not generally looking to work, especially when their children are young. Wellington Hospital paediatrician Brendon Bowkett said child health was "a basketcase well before the recession". "Too many women are contemplating pregnancy on a benefit and we need to do better than that." The problem is not the recession. The problem is the DPB. There were 56,769 on the sickness benefit and 85,085 on the invalids benefit, he said. The figures were close to those of a year ago. Because 'close to' would be a stretch of the imagination. On those sort of numbers 'close to' would indicate maybe a few hundred either way. 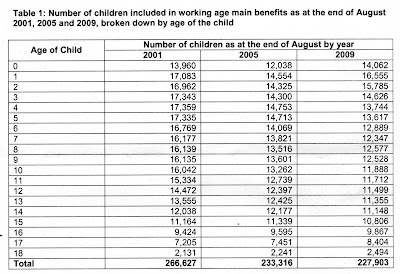 I cannot make a comparison to exactly one year ago but in September 2008 there were 48,208 people on the sickness benefit and by December there were 50,896. Now there are 56,769. Is that 'close to'? Maybe a 14-16 percent increase? Doing the same with the invalid's benefit indicates around a 2 percent increase. Now that is closer to 'close to'. The 59,028 people now drawing the [unemployment] benefit was 1722 fewer than seven weeks ago, and well below the 82,000 Treasury had predicted in one estimate. OK. That's more positive. But The Standard yesterday pointed out that the recent drop may be nothing more than normal seasonal fluctuation. So what have we got. A recent drop in the unemployment benefit due to a combination of seasonal change and job subsidies and every other benefit continuing to grow. 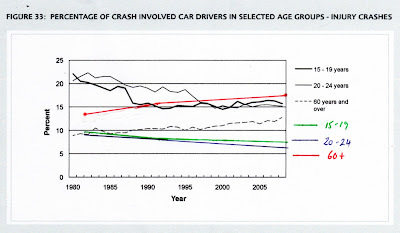 As the DPB is not mentioned you can be fairly sure that is also continuing its upward trend. Anyway, the main point of the article was to announce that more jobs are going to be subsidised. I have posted before about the problems therein. Skewing markets, in this case, the labour market, is just another example of squeezing the partially inflated balloon. Mr Hide said that while ACT was strongly supportive of foreign investment and the private sector, it also had concerns about proposals to allow private companies, foreign or domestic, to establish carbon farms on the conservation estate. “If a company, foreign or domestic, earns carbon credits from planting trees on the DoC estate, but then sells those credits offshore, it does nothing to improve New Zealand’s fiscal position under the Kyoto protocol. It is as if the trees had never been planted. ACT advocating state ownership of production. Sure carbon credit trading creates a phoney market, but don't similar principles apply as to the production of any goods or services? I am struggling with the difference. And surely the gain to the government (and benefit to the taxpayer) comes from leasing the DoC land rather than owning the carbon credits? What am I missing here? As the philosopher and writer Ayn Rand observed, "Individual rights are not subject to a public vote; a majority has no right to vote away the rights of a minority; the political function of rights is precisely to protect minorities from oppression by the majority (and the smallest minority on earth is the individual)." Anybody who regularly reads Misa will know what a hoot this is. Misa is a collectivist of the tallest order. Let's have a look at a couple of her previous columns dismissing the rights of the individual. To read Sir Owen is to understand how far we've strayed from many of the principles on which ACC was built. Like community responsibility, which goes against the idea that you should levy one section of the community more heavily than others, as proposed by the current government. Sir Owen held that as we all benefit from risky activities, we should all bear the cost equally. As Obama was at pains to point out last week, ensuring health care for all Americans isn't a matter of individual responsibility, and can't be left solely to big business - it requires government intervention. Tapu Misa believes passionately in the role of government to regulate individuals. This directly infringes on the few rights they actually possess. In her world government should have more responsibility and power than the private sphere; from charity to business. The very idea of big government, one involved in all the areas Misa thinks it should be - health, education and welfare - rests on the suppression of the individual for the sake of the community. The columnist has no idea what Ayn Rand was talking about. Misa believes in positive rights - that is the right to something like education or income support or healthcare. Ayn Rand believed in negative rights - the right to be free from something like government coercion. The two are incompatible. In effect Rand was arguing against everything Misa holds dear. Within the philosophy of human rights, some philosophers and political scientists see a distinction between positive and negative rights. According to this view a positive right imposes an obligation on others and the state to do certain things, while a negative right merely obliges others and the state to refrain from certain activities. Other readers may know where Rand stood on the rights of children. She may have argued the right of children to be free from any degree of physical force. I do not know. But I would be hard-pressed to find any column Misa has ever written about society and government that Rand would have approved of. A reader was upset and angry enough to e-mail through a story that had shocked him. I think I was less surprised than he had been but it is worth the re-telling. The subject is very topical right now. A foster family, who had raised two of their own children, had care of a 2 year-old Maori girl. This child had been removed from a whanau with gang associations or, for want of a better term, a gang house. The mother had made no attempt to make contact with the child since the removal. The foster family have apparently quickly grown very fond of the child (from which I am guessing they would like her to remain in their care.) However, another whanau member has been found and deemed a more suitable carer. This is the practical application of the holy grail at which Minister Turia worships- 'whanau first' or 'no child should be raised outside whakapapa links'. The more suitable carer is her eighty year-old grandmother who already has a younger child in her care. That might indicate she has proved she can look after the mokopuna very well or, conversely, that she is already stretched enough. But the odds of the child staying in the grandparent's care for the duration of her child/young adulthood are not particularly high. If the Grandmother wants full time care of the child then she is entitled - she is, after all, blood. But I do not know if she has been offered any alternative and obligation to whanau is an overriding force for Maori - both a blessing and a curse. The younger foster family however would probably be better able to give the two year-old long term security. But they are neither kin nor culturally appropriate. They are Pakeha. I wonder how many Pakeha couples would step forward to raise Maori children given the chance? I once made noises about taking care of a child I had come to know through visits to her neighbour. In time the child was removed from her mother. The case was serious enough to warrant media coverage. She was a sunny child despite being neglected and abused, although her older sibling was already showing signs of a troubled personality. My impulse and overtures were quite actively discouraged. And to be fair, I had no official status or experience as a carer. The children ended up with their grandmother also and I think of her to this day. There were days when I was the only person to wipe her nose for her. It never seemed to occur to anyone else. Trivial maybe, but it sticks in my mind. Along with the bare feet and uncovered nappy in mid-winter. If Paula Bennett is true to her word I hope she stands very firm and insists on an investigation into where Maori children are placed and what the outcomes are for them. There would be a big enough cohort over the years to provide a sizeable sample. If it transpires those children placed within the whanau are better off, so be it. But lets have a good, honest look at it. The life chances of these children hang on what may be a questionable policy.